It has been a busy month for our family and so there have not been many days out exploring Hereford, as Niamh Jones was born on the 28th October. 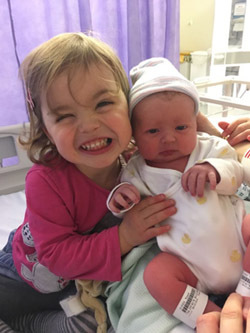 Willow is delighted to have become a big sister and spent her days at Nursery, and indeed to anyone else who would listen, that she has become a big sister. 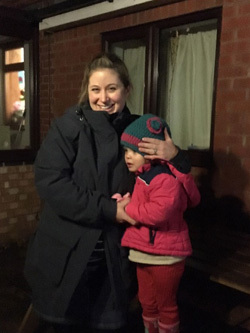 Willows nursery, Beech House, has been fantastic helping Willow adjust to life with a baby in the house and we can’t thank them enough for all their support during the transition. We did manage to get to celebrate bonfire night (above, right hand image) and it was the first year that Willow took notice of what was going on. She loved seeing the sparkly lights of the rockets and Catherine wheels. Once we had settled into life as four we took the dogs up to Queenswood to follow the amazing Gruffalo trail. This is the most amazing book and a firm favourite of Willows (and mine). The new trail is fantastic at getting children to walk in the woods and follow signs whilst having snippets of learning as they play. I am a huge advocate of learning through play as my day job is in education. 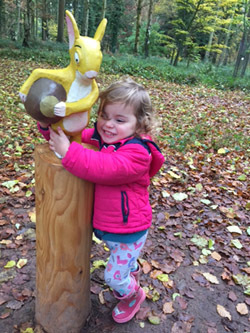 Willow really enjoyed the afternoon exploring the woods and learning about the trees and animals, as well as finding all the characters from the story. Willow definitely loved finding the mouse and gave him a big hug. Queenswood has definitely created an adventure that will last a lifetime. 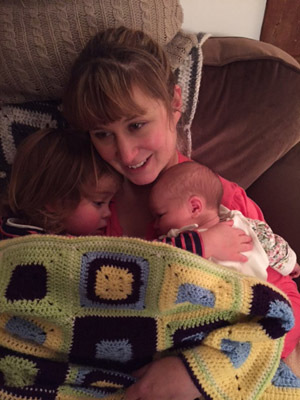 Here is a picture of me snuggled with my girls on a cold Sunday afternoon after we have pruned the roses in the garden and lit the fire for the first time. The dogs were very happy to laze around in front of the fire all evening and the girls went to sleep. December is upon us this week and I am looking forward to all the Christmas events. I think I will venture to Hampton Court this weekend as well as the Advent fayre at the town hall this weekend. I am also looking forward to visiting our local church for advent and carol services as well as the Cathedral which has Christmas stalls and carols for shoppers to get you in the festive spirit. I hope you have enjoyed seeing Father Christmas’ sleigh which has crashed landed into the shop window and if you haven’t seen it then so pop along and look up once outside the shop. 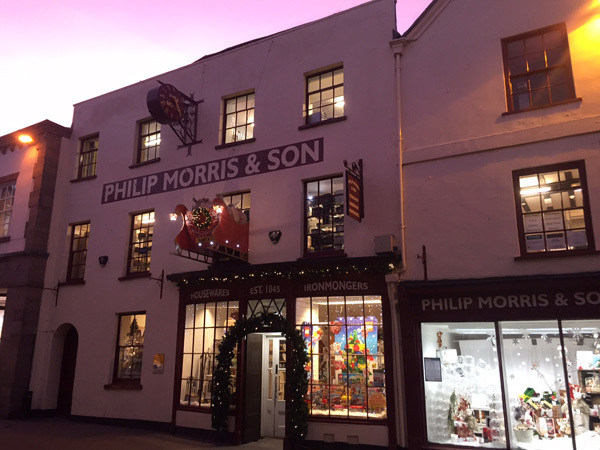 Advent Fayre, Beech House, Bonfire Night, Christmas, Hampton Court, hereford, Hereford Cathedral, Herefordshire, New Arrival, Philip Morris, Philip Morris & Son, Philip Morris And Son, Santa, Santa's Sleigh, Sunday, The Gruffalo. Bookmark.